The bone-in Benchmark tomahawk steak for two. Photograph by Jared Sych. 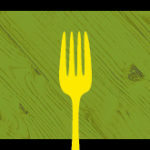 FOOD | Ranch-specific beef and steak-house classics. VIBE | Club VIP room meets contemporary fine dining. DECOR | Anti-traditional steak house. 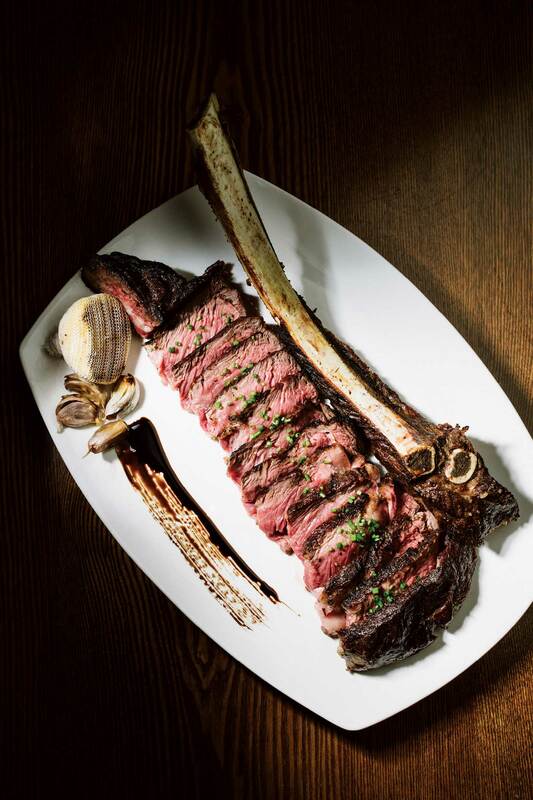 DISH | 40-ounce Benchmark tomahawk steak for two. TIP | Go on Wednesdays for the Date Night special: two steaks, two sides and a bottle of wine for $78. It took a few years for Modern Steak to really hit its stride, but now that it has, proprietor Stephen Deere has set a new bar for what a steak house can be in Calgary. With a menu that reads like an educational guide to the world of beef, Deere takes his promise of 100-per cent Alberta ranch-specific beef very seriously — every steak can be traced back to a local ranch. Taking the concept even further, the Modern Benchmark black Angus cuts all come from the offspring of a specific bull owned by the restaurant and managed by Benchmark Angus in Warner, Alta. Cooked on an 1,800-degree (Fahrenheit) infrared broiler for a crispy exterior and a juicy centre, the difference between ranches, breeds, cuts and drying methods all affect the taste of each steak, making Modern Steak a prime destination for true beef connoisseurs. Knowing that premium steaks aren’t an every-night food for most customers, chef Dustin Schafer’s menu is full of other steak house-worthy items, like beef tartare, seafood dishes, pastas and even a selection of vegetarian choices. It’s clearly a formula that’s working — in December, 2018, Modern Steak opened a second location on the second floor of the downtown Hyatt Regency Hotel, plus Bar Modern on the main floor, a more casual take on the restaurant’s ranch-specific philosophy.